Gorgeous design and super thin, 0.75 inch platform. Platform Size 11.8" x 11.8"
Scale Size 11.8" x 11.8" x 0.75"
Sleek Design, Sure To Complement Any Home If you're looking to buy a great looking health scale for your home, look no further. 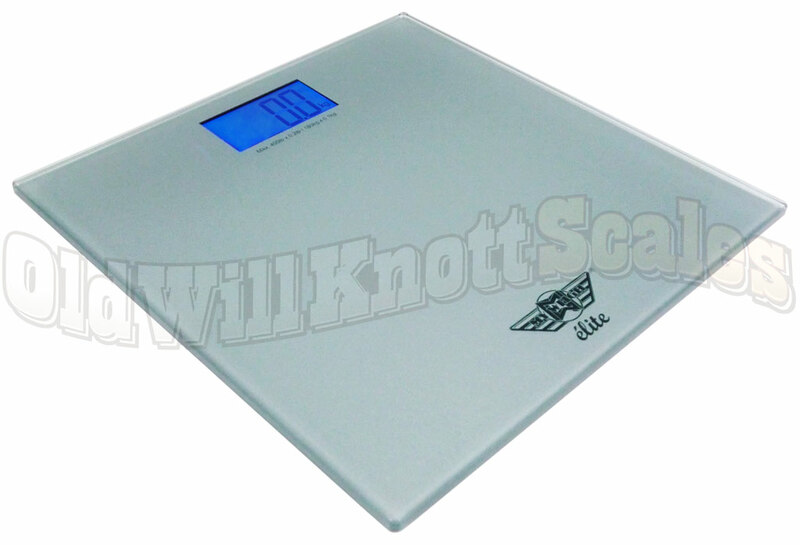 The My Weigh Elite is an affordable scale with the looks and features of a high dollar instrument. The Elite's super thin, glass platform is only 3/4 inch thick and extra durable to support its huge 400 pound capacity. This bathroom scale's sleek platform is complemented with its bright blue, backlit weight display. The result, a gorgeous bathroom scale that will be a great addition to any home. Bright Backlit Display You won't have any trouble at all reading this digital body weight scale's weight display thanks to the large one and a half inch digits, and the bright, blue, backlight. Step And Weigh Feature You won't have to bother bending down to switch this bath scale on...just give it a quick tap it with your foot. The scale will turn on and you can get to weighing. Pretty easy, huh? 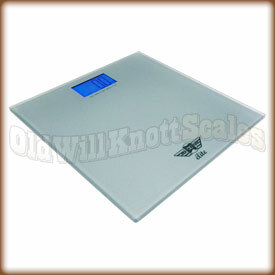 Extra-Sturdy Glass Platform This My Weigh bariatric scale has an extra sturdy glass platform for weighing up to 400 pounds. This platform looks great and, since the weight display is under the glass, cleaning this thing will be easy as pie. I’ve always been larger but I’ve been on a strict diet just wanting to watch my diet and lose weight. Got the scale because it had good reviews. Don’t know if it’s just my scale for what but every time I step on it, it reads different. It could be a 20 lb difference within me stepping on it 30 seconds before. I am happy with the scale. It is working well after we discovered that the battery that came with it did not work. Once we replaced the battery the scale has worked well. This scale is very strong and will last a long time with care. the item in question -myweigh - seems to be working great and cost less than my last scale . so i love it! I like the scale very much and it was exactly what I was looking for. The only drawback were the batteries that were included. The first day it arrived the batteries registered LO and did not work at all. The second day they no longer registered LO but faded before showing the weight. Finally on the third day they started working correctly and have continued to do so. I do not understand it but am now satisfied. I did read reviews before purchasing this scale and was concerned about the precision of the readings. I found it to be quite accurate but a tad imprecise if you do not center yourself or keep your balance well while it measures your weight, however it should not be an issue with most people. The modes were easy to switch through too (lbs, kilos, and stones). The scale and battery did arrive cold so it gave a low battery reading for about 15 minutes while physically warming and that issue is rectified. The batteries themselves are the lithium-type disk batteries that cost a bit more than common AAs or AAAs. I don't use it often so I imagine that the batteries will last a while anyhow. The back-lit screen is fairly easy to see, but it could be better if the colors contrasted instead of a dark-blue background with bright-blue numbers. I like it a lot. I have macular degeneration and poor eyesight..have difficulty seeing how much I weigh. Maybe that's a good thing. Otherwise, it's lovely and I like it. The replacement scale came on 3/21 and it works perfectly, so the other was defective. 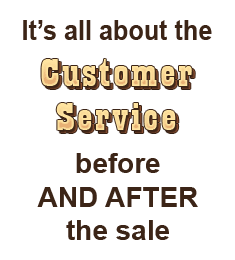 I want to thank you so much for your great customer service skills. The is a very well run company and if I need any type of scale I would buy from you again and also recommend you to a friend. Thank you for your help! Cus timer Service was excellent. I love the scale, price was unbelievable compared to what else is in the Internet. Great scale - seems accurate and reliable, while being attractive and reasonably priced. These new ones are supposed to be "no-tap", meaning that you don't have to tap your foot on the scale to wake it up before weighing yourself. That sounded good. Except that I shove the scale against the wall, and pull it out 3"-4" to step on it. The first time I step on, the weight is low by about 4 to 5 lbs. I get off, let it shut off, and get back on, and the weight is accurate. Being a geek, I naturally set up an experiment to test my theory. Yes, if you move the scale, you have to cycle it on and off to get it to weigh accurately. So now I have to do more than just tap. Oh well. No need to tap the scale to start this one! Just step on it & gives you the right weight the first time . Our old scale never had the same reading twice. Looks & works great! Cheap too! We're very proud of our purchase! We've had it little over a month. Very true to the doctor's scales. I really like this scale. OK - I've had this scale for all of a week and Old Will Knott wants a review already... How useful could this review possibly be. Seems to me, a review after a year of ownership would be useful. Right now, all I can say is the transaction went well, received the product quickly, and it is a good looking scale, although the platform actually "feels" smaller than one would expect given the specs. The one thing I do not like so far is the scale seems to have a bit of a problem zeroing in on a specific number / weight. You must step onto, or place an object onto, the scale quickly and without moving around as any adjustment / movement will prevent it from determining the weight; and that must be done quickly. One only has 2-3 seconds to get on the scale, centered, and without any movement. Despite bad weather here on the east coast, the scale ordered arrived within a week of placing the order. As of right now, it's working really well for my fianc? and is providing accurate readings. Great scale for the price. Old Will processed the order quickly. Got this little beauty last week. Must say that this scale handle our somewhat heavy family with no problems. The design fit very well with the decor of our bathroom. Really impressed with the product. Works good and should last long time! Easy to use and the light is good enough to not squint when reading the weight. Accourate as th Dr's scale.